Even if you perform routine maintenance on your ductless heat pump, there may come a time when it runs into trouble. The heat coming from the system may not be as strong as it was before, for example, or you may start hearing noises while it’s operating. In any case, it’s essential for you to be aware of what to do once your heat pump encounters issues. 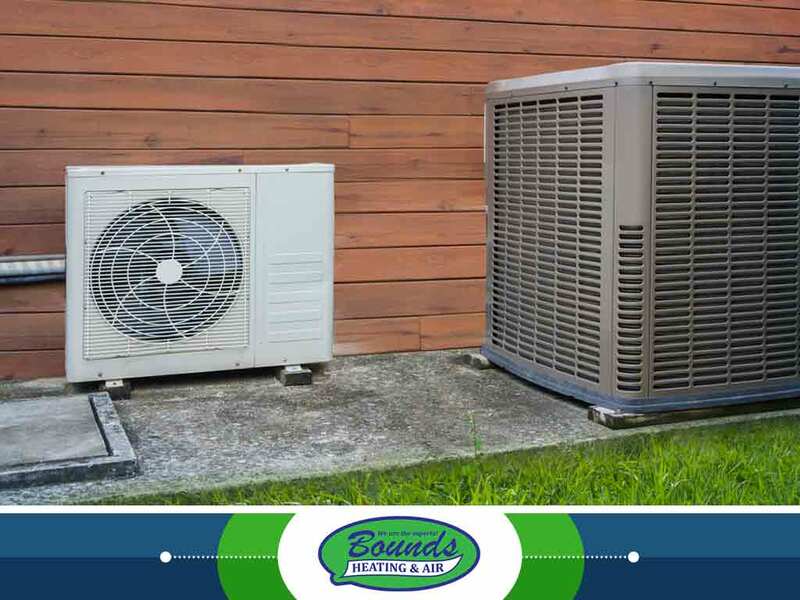 Bounds Heating & Air, a leading HVAC maintenance contractor in the area, shares troubleshooting tips for your ductless heat pump problems. One common problem of ductless heat pumps involves the electrical supply. Be sure to check that all the switches are turned on, including the indoor part of the system and the one inside the pump itself. Also, examine the system for tripped circuit breakers. An internal panel helps the ductless heat pump send heat across your home. Check for damage first before removing the outer cover. Once inside the unit, you’ll find the thermostat, which controls your desired indoor temperature. See to it that it’s fully functioning, then check to see if the batteries are out of juice. It’s also possible that it got disconnected from the power supply. You may seek professional help from one of our HVAC repair technicians if you think there’s some other reason for its failure. Next, inspect the ductless heat pump’s outdoor unit. Make sure you can hear the pump running when it is set to “on” from the inside. If it doesn’t, it may not be working due to frost buildup. The system should have a “defrost” option on its external control panel. Press it to warm the pump and get it back in full operation. While it’s good to troubleshoot a heating system on your own, when in doubt consider contacting Bounds Heating & Air. We offer 24/7 emergency services, which means our NATE-certified technicians are just a phone call away from taking care of your HVAC needs. Whether it’s an air conditioning repair or heating replacement, expect us to handle them with the utmost professionalism in mind. Give us a call at (352) 278-9123 for more information. You may also fill out our contact form to schedule an appointment or request a free estimate. Our Florida service areas include Alachua, FL, and nearby communities.